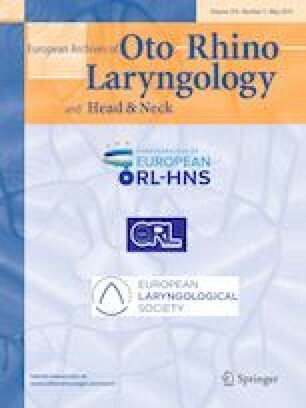 To conduct a national needs assessment using a structured approach to identify and prioritize technical skills and procedures in otorhinolaryngology (ORL) for simulation-based training. The study was designed as a national Danish survey of key educational stakeholders in ORL. A Delphi methodology with three rounds was used: the first round constituted a brainstorming phase to identify relevant procedures; the second round was a survey of importance, frequency, number of physicians needed to train, and patient safety/discomfort of the procedures, and feasibility of simulation-based training; and a final third round for prioritization. A total of 62 key opinion leaders were identified and 50 responded in the first round, constituting our panel. Fifty technical skills and procedures were identified in the brainstorming phase and were sent out for assessment, with responses from 56.5% of still eligible panellists. Thirty-six procedures were found important in ORL residency training by the panel. After final prioritization by the panel (response rate 43.4%), there was broad consensus (> 75%) on the need for simulation-based training of 13 technical skills and procedures, with the most highly ranking procedures being emergency cricothyroidotomy, flexible fibre pharyngo-laryngoscopy, and basic surgical skills. As educational decisions are increasingly required to be evidence-based, this study represents a structured approach to identifying procedures for simulation-based training in ORL. This information can be valuable in the development and implementation of simulation-based training programmes in the ORL residency training curriculum.